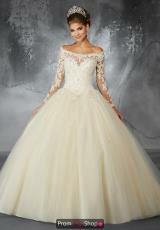 Rise to any occasion that calls for elegance in Valencia's Fabulous 60052 ball gown. This breathtaking lace-up gown features an off-shoulder neckline with long sleeves and gorgeous lace overlay throughout the bodice. 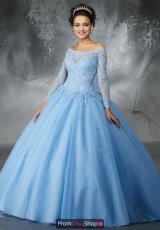 The full tulle skirt features a train and scattered beading. Matching stole included.